At Hotelbeds, Javier Arévalo is the managing director of the bedbank's ancillaries product, Beyond The Bed. 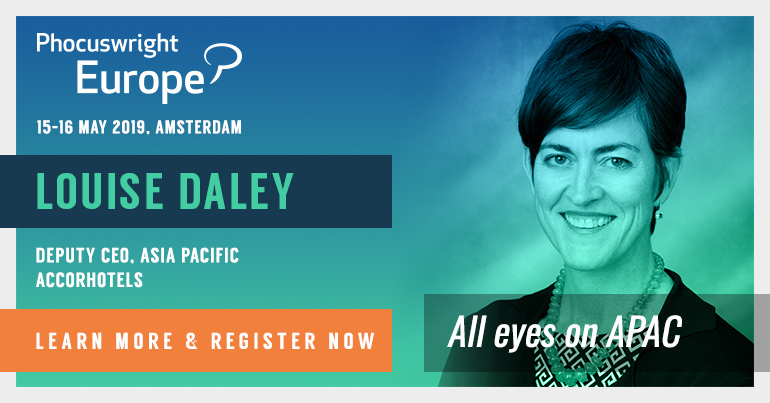 At Phocuswright Europe 2019, he will take part in the Experience This! roundtable to discuss out the experiences segment is disrupting the traditional European tour operator market. Despite all the advancements in travel planning in the digital age, there are a few travel myths that refuse to die, even though they’re totally wrong. Each individual is different and each traveler is also different. Travelers make decisions for many different reasons, some rational and others more emotional. The complex social and emotional drivers often collide with the more considered and rational impulses. What is the most critical component of your business (apart from its people, technology and customers)? Educating the Beyond the Bed stakeholders. Ancillary sales are giving a viable opportunity to increase profit margins while offering customers additional products and services to enhance their experiences. Personal and professional maturity are the keys to properly handle stress situations. There is a direct correlation between happiness and expectations management. Step by step, companies are finding that these complementary sales can help them improve their value proposition in front of the customers, while increasing their profitability. However, travel companies must keep in mind that consumers are looking for a simplified experience in the shopping process; if the ancillary sale can enhance their experience, by saving time or money, they are more likely to buy. It’s important for the industry to engage their consumers with the right ancillary products at the right time on the right channel. Being honest, I am proud of having actively participated and enjoyed 25 years of a professional career in the successful digital transformation that Hotelbeds has carried out. There are many battles fought, remarkable successes achieved and also celebrated, but if I have to select a chapter, I am left with my American stage. I enjoyed an unforgettable experience, in which with excellent teamwork, we reached some stratospheric figures. The magic formula ingredients: people + setup + culture + capitalization of the momentum. Disrupting the travel industry is always an exciting terrain. Travelers are constantly changing their travel habits. In my opinion, innovating the digital transformation is the most impactful area. Being pioneer in selling points diversification and mobile travel innovation such as travel apps is key for gaining competitive advantage. I’m not a great expert in the field, but if I have to choose one, web- and app-based travel aggregators is the optimal way of reaching the fully customizable travel experience. I aim to play the appropriate role at the appropriate time. I always try to make use of my strengths and my natural style in a way that helps the group. Sometimes I share leadership in the group, but always involving others and using their expertise; while in other context I play a role of critic observer, verbalizing observations, participating and acting quickly when necessary. I feel very comfortable working as a team, but avoiding ambiguities and gray areas as much as possible. I adapt quickly to the position in which I have to play at each moment. Having said that, my escape valves and ingredients of happiness are very basic: family life; sports and meditation; few but real friends; controlled ambitions and a simple Mallorca lifestyle. I dedicate a large part of my free time to enjoy my two dogs, a beautiful white golden terrier and an active and intelligent brown Spanish water dog. Going deeper into my privacy ... I try to reconcile work with family life, and in turn I look for the balance between all aspects of life. For some years I have practiced a sport, which more than a sport is an art or a philosophy of life, which helps me to maintain focus, firmness and balance. I love challenges. And … gastronomic experiences and family vacations complement my list of preferences. Do you have a favorite type of aircraft to fly in? Not really, although obviously it depends on the itinerary and the purpose of the trip. I’m not very sophisticated: By default, I travel in economy class. How do you encourage your team to recharge? Acting as an harmonizing influence, encouraging trust and cooperation, establishing team values and goals, using a high component of consensus through listening and brainstorming, setting ground rules and aiming to lead by example. We put passion in everything we do, and our goal is to win, enjoying the journey if possible. Sharing periodical informal meetings also helps generate a bond of trust, proximity and complicity. I do not consider myself a hyper-technological man, I do not practice a great use of social networks and I prefer the basic apps: Google Maps, TripAdvisor and Xe Currency, among others. 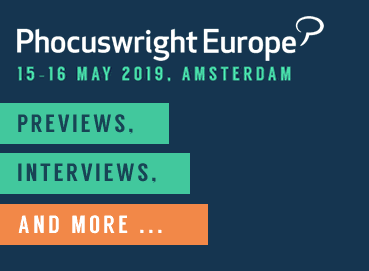 Explore how the explosive experiences segment is disrupting the traditional European tour operator market at Phocuswright Europe 2019 - May 15 to 16 in Amsterdam.